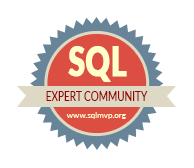 Microsoft SQL Server vNext (CTP1) – 14.0.1.246 can now be installed on Linux. I am using Google Cloud Platform to create it.you can do this using https://console.cloud.google.com. get free google cloud usage worth 300 $. I have selected Red Hat Enterprise Linux 7.
now Linux is read and lets install all latest Service packs in it. click on Open in Browser Window. Our Linux Server is ready.Now lets install SQL Server. This command will start console as a super user. this will download setup installation in sql server installation files. we have Installed SQL Server Service. its time to install sql server tools .